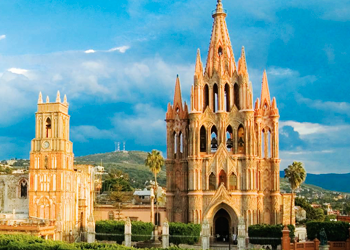 9 Days visiting the most emblematic of the colonial era in Mexico with the best example of classical architecture like: San Miguel de Allende, Guanajuato, Zacatecas and Morelia. 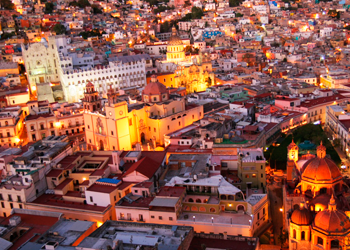 Try this tour and enjoy the warmth of its people and the best classic Mexican cities ….. 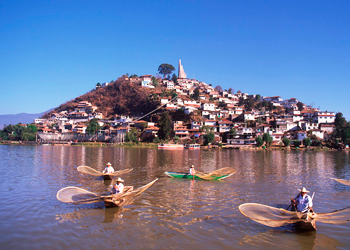 Morning departure to Patzcuaro and visit of the House of the Eleven Patios; the Basílica of Nuestra Señora de la Salud; Gertrudis Bocanegra Library, with its murals painted by Juan O’Gorman; and the typical market in the Don Vasco de Quiroga Plaza. 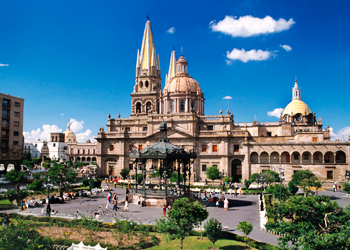 In the afternoon we travel by bus to Morelia, the gorgeous capital of the State of Michoacán. Accommodation at the Mision Catedral hotel or similar. In the morning we visit the cathedral, with its Baroque exterior and Neoclassic interior; the Plaza de Armas (Weapon’s Plaza); the Government Palace; the Clavijero Palace and other interesting monuments. The tour continue to Mexico City, with accommodation at the Casablanca hotel. *** Children will share double room with their parents; no extra bed available and maximum 2 children per room. The room will be equipped with 2 queenbeds.